After over 25 years of twists, turns and obstacles, Athens gets ready to welcome a sparkling new museum featuring works by the world's greatest artists. I turn and look at Kyriakos Koutsomallis, feeling truly moved. We are standing with the general secretary of the Basil and Elise Goulandris Foundation on the first floor of the under-construction building on Eratosthenous Street in a space that will be named “Hall of the Masterpieces”. When I started out in 1999 as a young reporter covering the visual arts for Kathimerini newspaper, Elise Goulandris was still alive. The plans for the museum had already been announced in 1992. Athens hoped that it would soon obtain a museum designed by the architect I. M. Pei. And yet it will only be now, in 2018, that the unique works of Basil and Elise Goulandris’ art collection will finally be hung in the museum. They both died before seeing their vision come to life, which has been continued with patience and persistence by their niece and nephew Fleurette P. Karadontis and Kyriakos Koutsomallis. Twenty-six years filled of adversity, intra-familial conflicts, and battles even with state institutions, were required in order to complete something that will truly change the face of the capital. 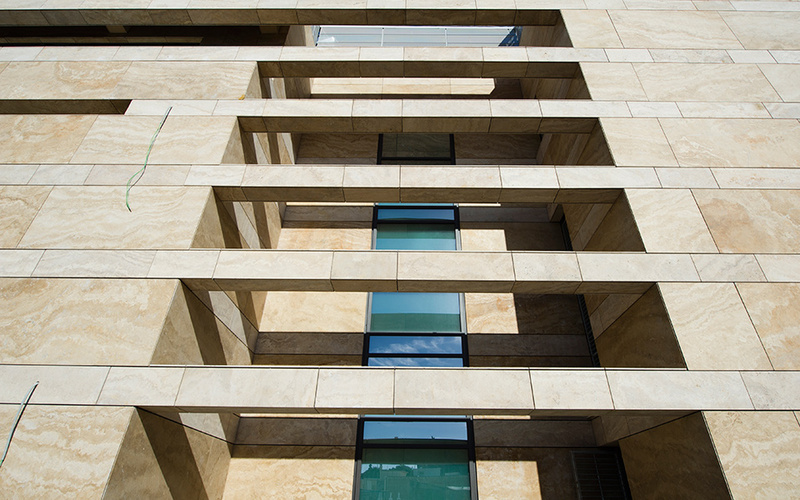 The new museum is located on a central road in Pangrati, integrated with an existing building. 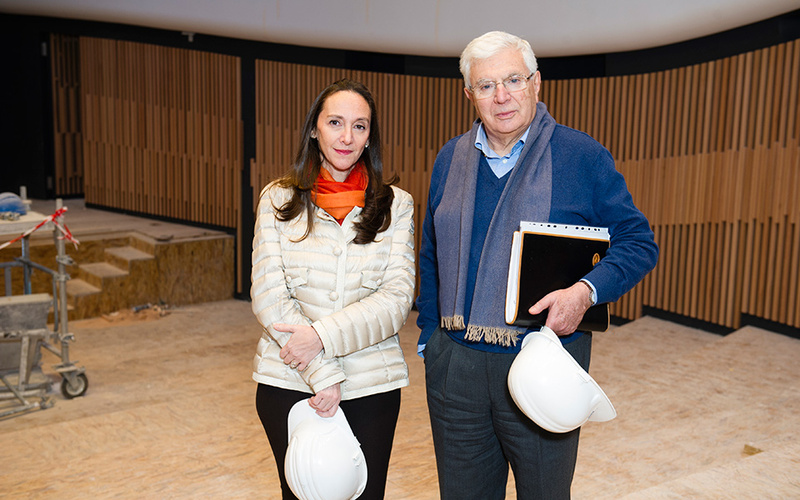 Fleurette Karadontis and Kyriakos Koutsomallis in the amphitheater of the new Goulandris Museum. 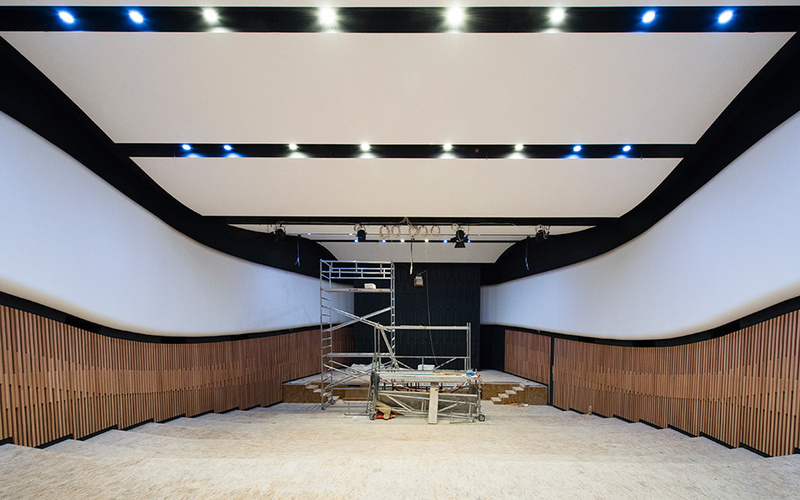 Soon these halls will feature works by some of the world's greatest artists. But the time that we have been waiting for has finally arrived. And through the words of the general secretary and the president of the foundation – both wearing hardhats of the Basil construction company, the space was transformed in my eyes from a building site to a gleaming museum full of people and exceptional artistic treasures. After a quarter of a century of waiting, what are the few more months it’s going to take until the official opening, now expected in early 2019? A heartbeat. To sum it up: today, for a Greek to see the works of such artists up close he would have to travel abroad. 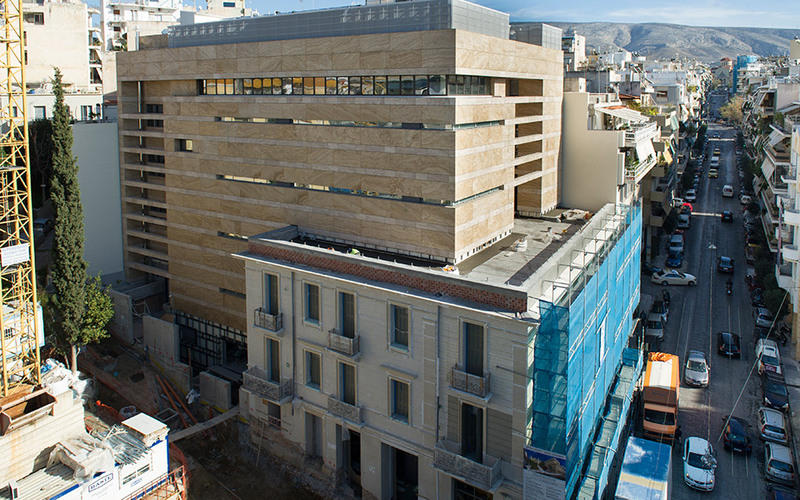 But now modernist masterpieces will be found right in the heart of Athens! “This is where the Rodin sculpture will go and there, underneath the window, Degas’ dancer. Ah! 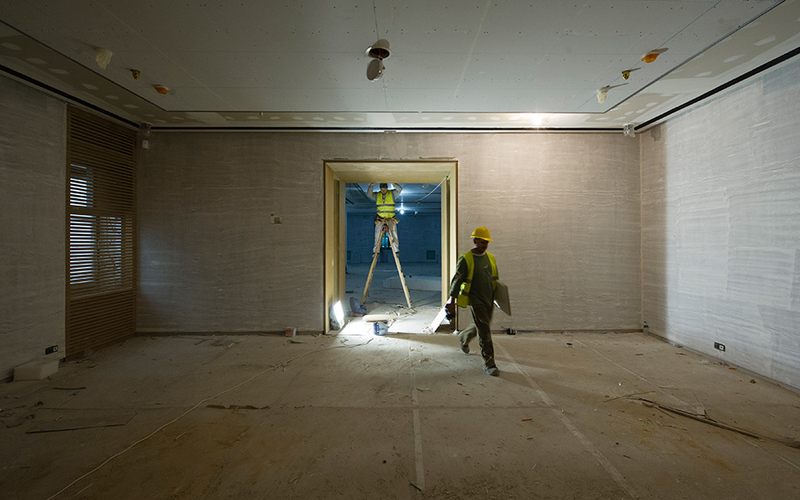 And that is the small hall that will be dedicated to Giacometti,” Koutsomallis continues. 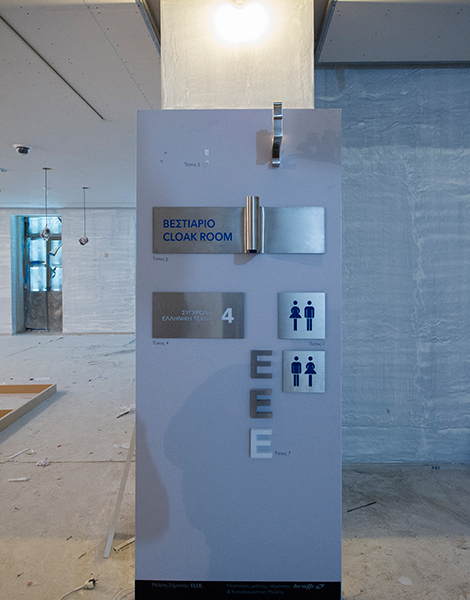 For her part, Fleurette Karadontis explains with pride how on the second floor there will be a special space for large paintings, sculptures and more. 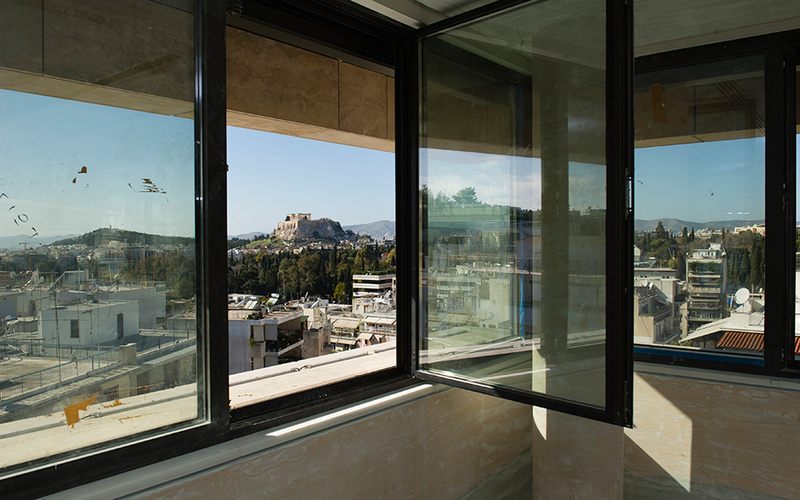 The top floor features stunning views of Athens. The building may not bear the signature of a famous architect such as that of the Chinese American who built the Louvre’s famous pyramid, but that doesn’t matter. Because during my and photographer Vangelis Zavos’ brief inspection, the clever planning was apparent, as was the splendid museological approach and finesse of Athens’ latest point of pride: 7,300 square meters spread over 11 floors, five of which are above ground, featuring beautiful, welcoming spaces for the lobby, the permanent and temporary exhibitions, the workshops for children and adults, a library, a café, a restaurant, offices and an amphitheater. The construction elevator has broken down so we walk up, watching the builders unload the wooden shelves of the library, and pass the floors that will be the new home of works by Warhol, Pollock, Matisse, Cezanne, Parthenis, Moralis, Tsetsis, and other modern Greek painters. 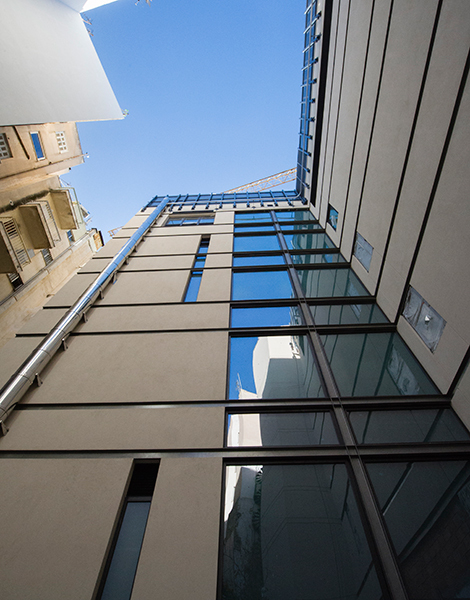 We reach the offices which enjoy stunning views of the Acropolis, Lycabettus Hill and the National Garden. I descend carefully, zigzagging between cables, planks, loose tiles and small heaps of lime, happy and optimistic. If nothing else, something that I was writing about twenty years ago, with a firsthand seat to the entire odyssey, has finally taken shape. Journalism doesn’t have many happy endings. This museum is a reason for (personal) happiness.